What is the "Live Search" button showing? 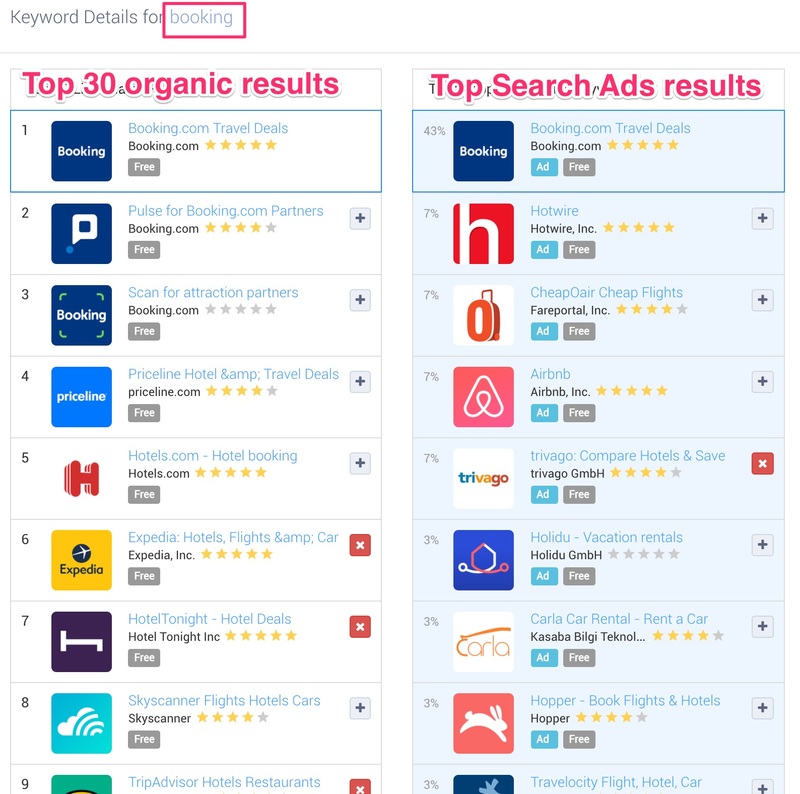 The "Live Search" button provides you with the list of the Top 30 Live Search Results app organic results for the given keyword search, as they would appear on the app store on that very moment. Additionally, it provides you with the list of all the apps that are bidding on this keyword (in the available Search Ads countries), along with their Share of Voice (SOV) estimate (in %). You can also get more information on the Volume (Search Popularity) calculation, the Search Popularity History and the Store hints/auto-suggestions score (higher the score if higher the presence of the keyword in the suggestions). Check this post for more details on the Volume (Search Popularity).